There’s More Foreign-Owned American Farmland Than the Size of Tennessee. That We Know Of. You might be surprised which countries own the biggest chunks of American farmland. Foreign entities are snapping up American farmland more quickly than ever, but the precise patterns are hard to keep track of; the USDA compiles raw data, but that data requires someone to analyze and make sense of it. And that’s exactly what the Midwest Center for Investigative Reporting has done. It’s a tough job, though. As they note, the data itself “has errors and often has incomplete information,” making it difficult to paint a complete picture. But what we can say for for sure is that between 2004 and 2014 – the latest decade covered by the USDA data – foreign ownership of American farmland has doubled to 27.3 million acres. That’s slightly larger than the entire state of Tennessee. Of that, 21.5 percent is cropland; the rest, forest and pastureland. While that represents only about two percent of total farmland, the value of the foreign-owned U.S. farmland soared from $17.4 billion (in today’s dollars) to $42.7 billion during that same time period, according to U.S. Department of Agriculture data. Canada and the Netherlands lead the pack in terms of foreign investors. If you’re wondering what the Netherlands is doing on that list, good question! “The main cropland holdings […] are made up of land owned for the purpose of wind farms,” writes the Midwest Center. For decades, farmers have been leasing cropland to energy companies for this exact reason; aside from being easier than farming, leasing land can also be more profitable. The Netherlands is a major player in the wind industry, and has long had an oversized presence in the US given its relatively small size. (USA Today suggests that a very large but conservative pension plan, plus longstanding relationships with the US, have led to many Dutch real estate holdings.) But there are plenty of other countries snapping up land; we’ve just seen word that Saudi Arabia has jumped into the fray. The primary concerns about foreign holdings of American agricultural land are many, and come from both farmers and state governments. There are fears that foreign nations could drive up the price of food, or force out American farmers. And once owned by foreign entities, Americans might not be able to secure that land again. That kind of stuff hasn’t happened yet, but it’s only been in recent years that foreign ownership of agricultural land has spiked, and the total acreage owned is set to continue to rise – China, for example, more than doubled its holdings with the acquisition of Smithfield Foods, and could spike again if ChemChina’s proposed acquisition of Syngenta goes through. One of the more pressing findings by the Midwest Center is in the lack of reliable reporting and, thus, data. Though foreign entities are required to complete reports, those reports are self-submitted and not verified. Approximately one million acres of foreign-held agricultural land don’t even list which country owns it. Laws restricting foreign ownership of agricultural land vary by state; Iowa essentially forbids it, but Texas has no restrictions (and thus about 3 million acres of foreign-held agricultural land), and, along with Maine, has the most foreign-held agricultural land. In Maine, the acreage is equal to about half the size of Vermont. California, by far the country’s most productive agricultural state in terms of food, has more than a million acres of foreign-held agricultural land. The mess dates back to 1978, when a group of concerned governors forced the passing of the Agricultural Foreign Investment Disclosure Act (AFIDA). But since then, foreign-held agricultural land has increased, as well as consolidation of major corporations, without updates to the law to require more transparency and protection. This year, a bipartisan bill named the Food Security is National Security Act of 2017 was introduced to attempt to require more information for (and place more restrictions on) any deal that might potentially place agricultural land in the hands of a foreign nation. It’s currently bouncing around Senate committees. It’s a weird and unsettling issue, and the Midwest Center has done a great job in compiling and making the (inaccurate, outdated) data as accessible as possible. Check out their site for a plethora of interesting tools, like a locator of foreign-held land near you, and a list of state laws. This is ridiculous, foreigners owning American farmland and potentially control part of our food supply? We know how foreigners operate. First they drive out the competition, our American farmers, with low prices. Then once they have exclusive control, they jack up the prices! You talk about putting your enemies in control of your destiny; this is a classic example. Wake up, have you lost your mind? Your voice needs to be louder. Are these foreign governments also collecting all the subsidy funds that farmers might collect? I knew there were some domestic landowners who control thousands of arces, but never thought about foreign governments being landowners in the USA. 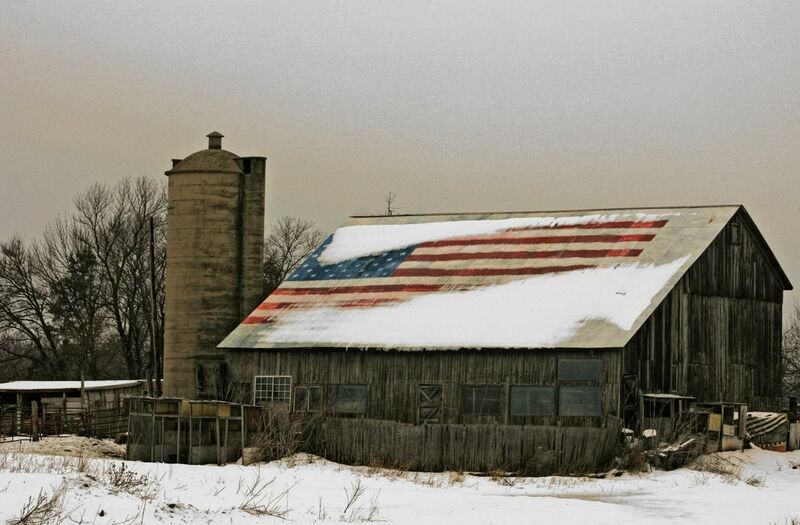 Foreign countries should not be allowed to OWN American farm land. Especially places like China. We need to keep our own land for the US not a foreign country. Leasing may be OK but not owning. Land is allowed to be sold or leased to individuals/corporations of foreign nationality – not to a foreign govt.The ownership or lease hold is subject to state and federal laws of USA.So what is the hulabuloo about ? This sounds alarming to me. Do foreign farmers have to abide by our agricultural rules? Also what if these farmers are told to stop farming and set up an army camp? If the land is owned by them, they can do what they want with their own land, I suppose. All in all, this sounds like a bad idea.